Do you really (really?) believe that Jesus “paid it all”…and that you now (as a believer in Jesus Christ) stand before Him totally and completely forgiven and clothed in the perfect righteousness of Christ? The gospel of grace is the end of all sweatshop religion. We are saved by Jesus’ sweat and blood, not our own. 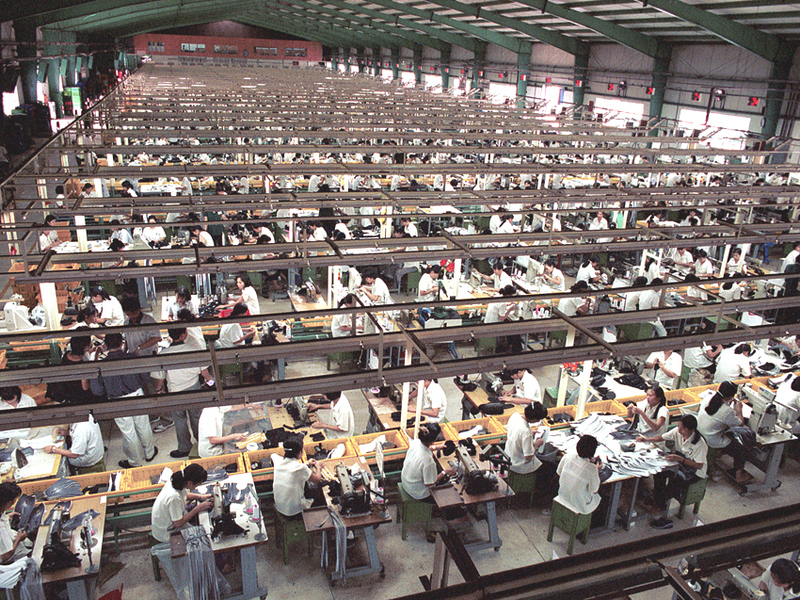 I think the existence of sweatshop religion can only be attributed to Satan, the Enemy of God and grace. Somehow Satan has so deceived the world that most people confuse Christianity with a sweatshop: sweating and laboring in cramped, love-less conditions in order to make a buck. Read the Bible or hear the true gospel preached and you discover that Christianity is actually the announcement that the sweatshop is closed! God has fixed our greatest problem for us. The Son of God lived, sweat, and worked for us. Jesus did the labor that we could never do: performing perfectly for God. And along with his perfect life, his perfect performance, Jesus received the punishment we all deserve. Instead of pridefully and sheepishly trying to make up for our very imperfect lives in the sweatshop, we are free to exit the building. Listen closely and you’ll hear the announcement made from Calvary 2,000 years ago: “It is finished!” The sweatshop is closed! Sinner, quit the sweatshop. Your sins are forgiven. There’s a new life waiting for you. THAT… is the Good News of the Gospel of Jesus Christ!